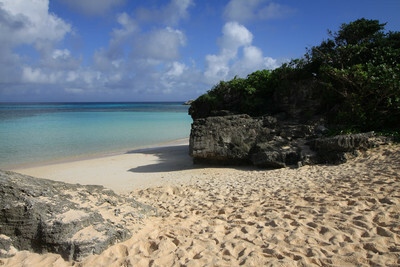 A beach at Hateruma island. 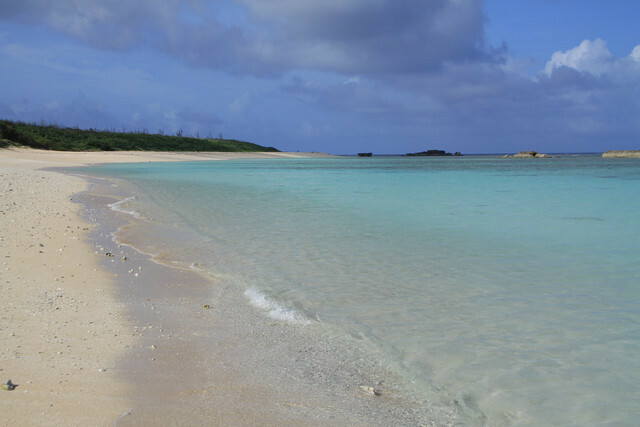 I introduced a report of beautiful Taketomi island as a series of “Yaeyama Islands Trip”. This time, I will introduce “Hateruma Island” that the writer headed for next. 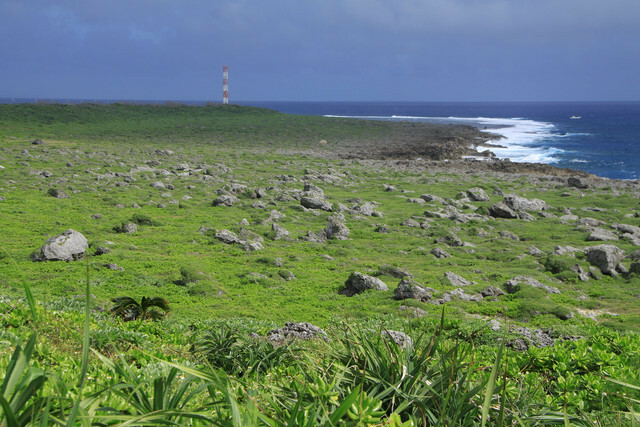 Hateruma island is the southern-most inhabited island in Japan. Because it’s well known as this, there were many tourists, it was kind of crowded on the high-speed ship. 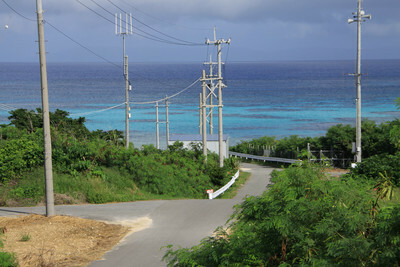 The wave on the way was much higher than the way to Taketomi island. 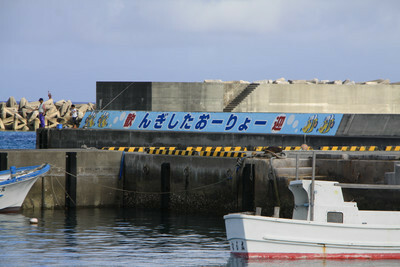 After about 1 hour from Ishigaki island (terminal), he arrived at the Hateruma island. 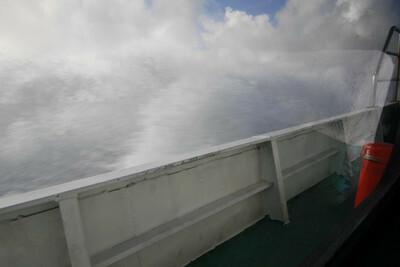 On the way to the island, the ship went on the open sea, so it was swinging so strong. This is the port. It says “Welcome” with this island’s native dialect. As soon as he arrived, he rented a bicycle at the port, then he decided to head for a nearest beach called “Nishi-beach”. Wow, you can see already from here! Takeshima was so beautiful, but this might be more! 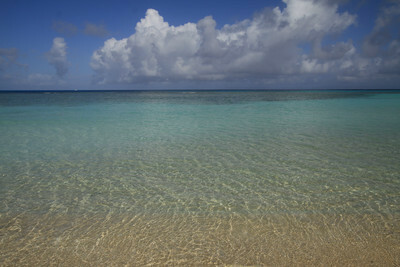 Shallow sea with pure white sandy beaches continues. The color of the sea is a milky light blue all around. Though he really wanted to take a nap there for a while, he got on the bicycle again, and headed for the center of the village of the island. 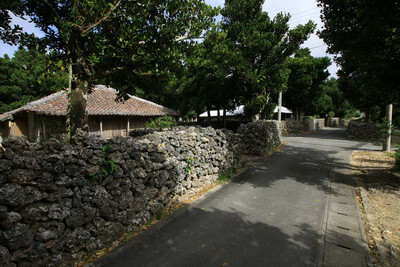 Stone walls surrounds each house. Many traditional architectures still remain here. 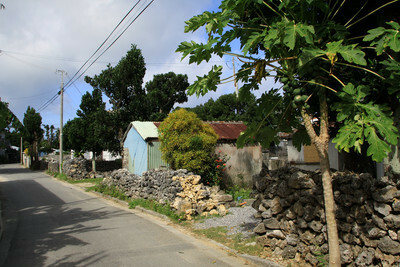 As well as Taketomi island, there were many houses with traditional red-white roof in this island. 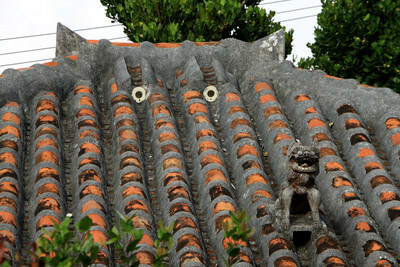 Can you see a face on the roof? It’s kind of cute! 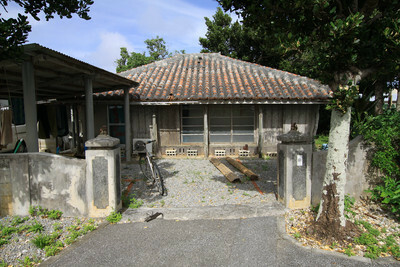 Though it looked little bit older than Takeshima, but it can be restored by painting roofs and stone walls politely. By the way, this island is known as the southern-most island in Japan. 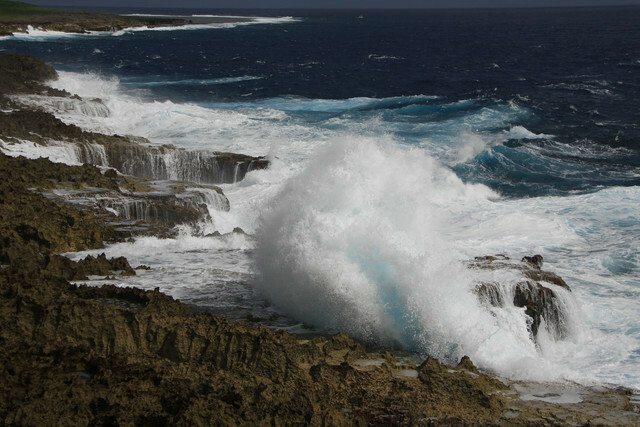 Why not go to the southern-most point on the island? 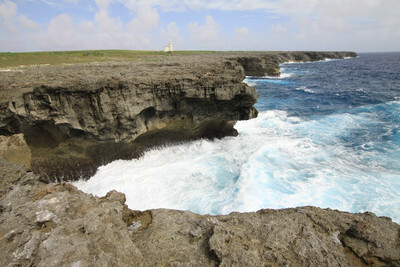 Again he rode the bicycle and pedaled heading for the southern-most point of the southern-most island in this country. This is the point, tip of the cape. 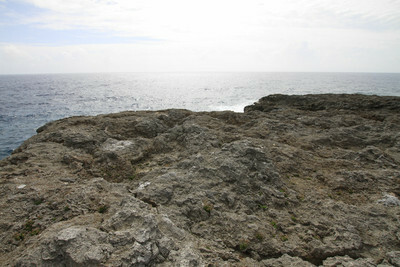 This cape is southeast part of the island, very opposite side of the port. Unlike the Nishi-beach, wild ocean waves smashed into the wall, and strong wind blew around the cape, the atmosphere was completely different from the beach. Limestones area near the cape. Now we have seen two faces of Hateruma island. What do you think? Even though it’a small island, it has two faces of calm and wild, because it faces inland sea and open sea. Next island at Yaeyama is Kuroshima. I would be grateful if you look forward to seeing the next island.